How do I add in PTO requests from the smartphone apps? 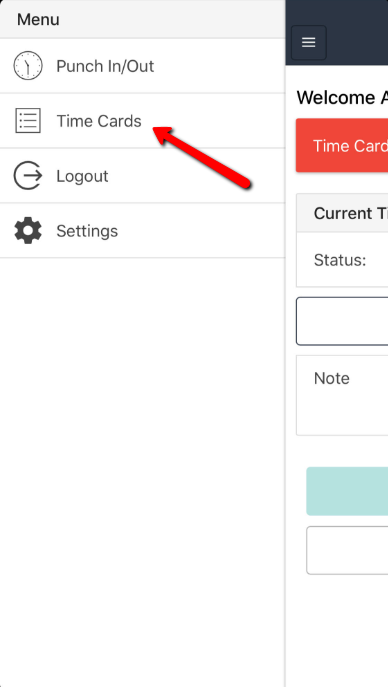 You will use the Timecards or PTO menu item to add in a PTO request from the apps. 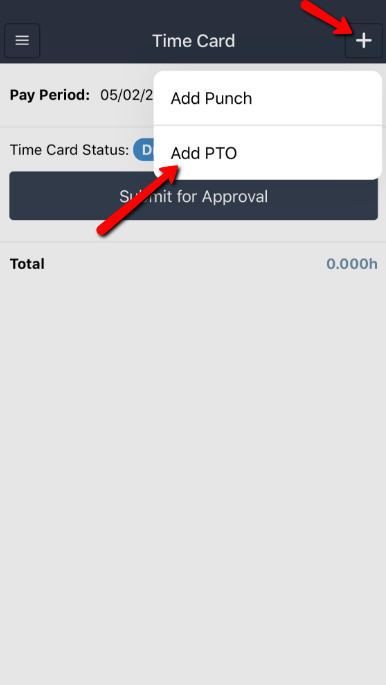 There are 2 ways to request PTO in the smartphone apps. Either way will require you to login and then open the menu on the upper left. The first method is to visit your time card. The second is to visit the PTO area. Then in the upper right hand corner click on the plus (+) icon to add and request PTO.